Filet de boeuf aux ravioles de foie gras "comme d’habitude"
RESTAURANT ATTRAYANT - Le Lion Bossu à Lille est un restaurant installé dans une bâtisse datant de 1681 se situant à proximité de la Place du Lion d’Or, dans le Vieux-Lille. Vous pouvez même venir y déguster des plats généreux au soleil sur la terrasse renfoncée et pleine de verdure. CARTE GOURMANDE - Croustillant de maroilles, filet de bœuf aux ravioles de foie gras et feuilleté aux marrons avec compote au gingembre, voilà un menu qui sait être inventif, même avec des ingrédients plutôt traditionnels. AMBIANCE FEUTRÉE - Banquettes molletonnées, murs en briques, poutres apparentes, meubles d’époque et lumières tamisées : le Lion Bossu est un endroit à la fois intime et chaleureux dans lequel on se sent bien. We have been here several times now and it never disappoints. So cosy and welcoming and the food is delicious. Lovely, proper French food! Also, friendly and helpful staff. My dining companion said he wanted to return to Lille just to visit this restaurant which says how much he enjoyed lunch! One of the best meals I’ve ever eaten! Thank you ! Wonderful elegant food , in a sophisticated and cosy atmosphere, with appropriate level of good humour. Excellent food. The cooking was of a very high standard and the dishes were beautifully presented. Expensive but worth it if you want decent food. Communication slightly difficult because their English is limited but our French is virtually non existent so more our fault than theirs. Lovely cosy restaurant. Staff very nice and relaxed but attentive. Food was delicious, although my partner had the beef dish and although it was lovely, the sauce was very rich and a little overpowering. I had the fish of the day which was delicious. Would recommend this restaurant. The food was excellent and the Waiter was attentive without being obtrusive. Unmissable restaurant if you are in the area. My wife and I really enjoyed the dining experience and would recommend the restaurant to anyone visiting Lille. We will return! Wonderful setting, great food and service. Merci beaucoup! A gem of a restaurant with excellent food and a cozy dining room. 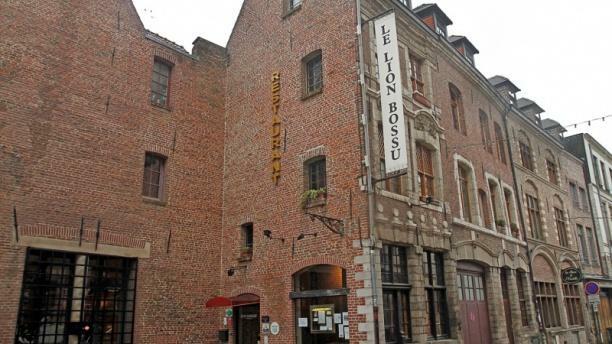 We loved the food so much that we dined here multiple times on our recent visit to Lille. Highly recommended. 13 of us had a lovely set meal on a Sunday evening. Service was excellent and the room, lighting and ambience were perfect. Great setting and food, however major issues with the service (since there apparently was a "big problem in the kitchen" ........). To be fair, we were treated, in order to apologise for the wait to a complimentary bottle of wine ! I feel it was just an unfortunate night for all !